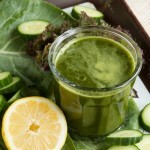 This 100% veggie juice will rock your day. It has three times the vitamin A and C that you need, all in one glass. 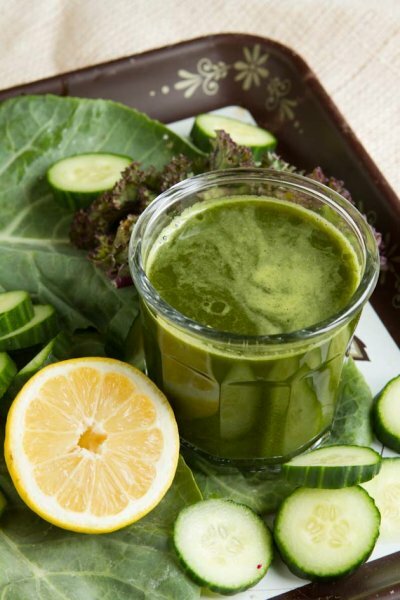 If you have a ‘low’ setting on your juicer, juice the cucumber and spinach then switch over to the ‘high’ setting and juice remaining items but the lemon. When complete, add lemon juice, stir and enjoy!